Description Item Number NPT3. 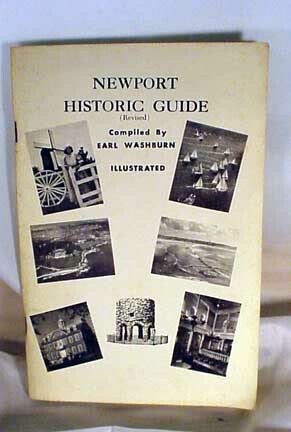 From our extensive collection of Newport Rhode Island books, post cards and Historical Ephemera: A tourist booklet: "Newport Historic Guide (revised)" Compiled by Earl Washburn Illustrated. Size: 6" x 9". Outer paper covers. 103 pages. Drawings and photo illustrate the excellent booklet. Condition: stains to the outer cover and discoloration to many of the interior pages. 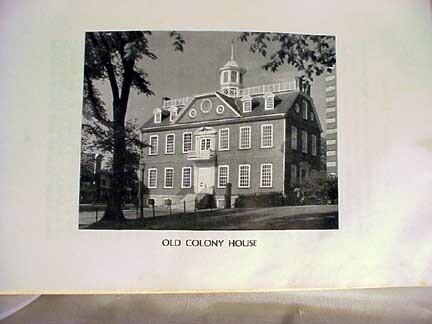 A useful Newport Rhode Island book. 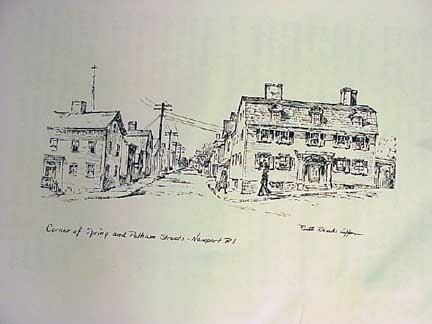 Mr. and Mrs. Washburn at one time owned our building in Newport and Delphine had a book store in our gallery. Price: $40.00.